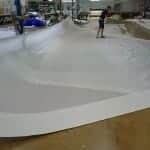 This last week the Doyle sail loft finished our new screecher and asymmetric spinnaker. 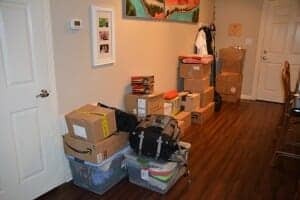 They are currently on their way to us here in Texas in preparation for shipping off to France with the rest of the items we’ve been buying/setting aside for the boat. The coordination required for buying a boat internationally is quite remarkable! But back on topic… Before packing up the sails, the loft was kind enough to send us some pictures of the sails and I figured I’d share. 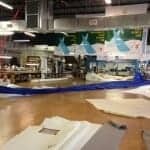 This sail is 1,397 sq ft which means its bigger than my first two apartments. That fact is what puts it in perspective for me. 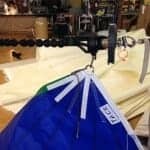 It’s made out of Contender Nylite 90 Nylon and as I’ve touched on before, we’ve created a sort of ‘franken-rig’ for the sail using a Karver KF2 Furling Drum and the Profurl Spinex Sail Bearing anti-twist cable for our torque rope. You can see the furler in the picture of the tack, and that picture also gives a pretty good visual of the Spinex Sail Bearings. The screecher is 864 sq feet so it is not small by any means. We ended up with a Tri Radial design with 5.5oz Dacron and a UV Dacron cover. 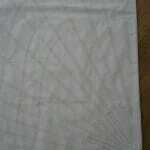 That will hopefully provide some extended life for the sail as we cruise in tropical areas. Unlike the spinnaker with the Sail Bearings, the screecher has the torque rope sewn into the luff so it is a part of the sail itself. 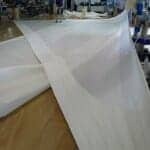 We will be able to use the same Karver Furling Drum and just swap out the sails depending on conditions. For those of you who may need a refresher of (or an introduction to!) 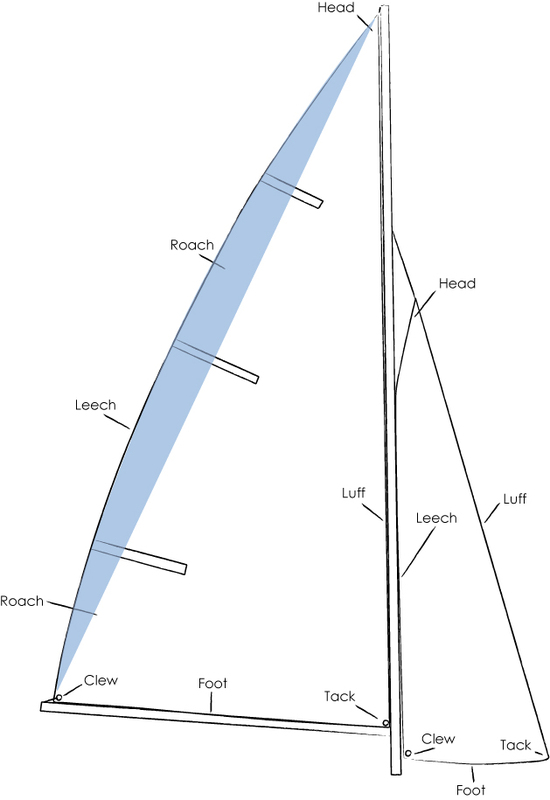 sail terminology, hopefully this diagram will help. Study it, memorize it, so that when you join us on Starry Horizons you’ll know what I mean when I say we need to attach the head of the sail to the halyard! so, a question: why on this big off/downwind leg couldn’t you use a reefed main and have better balance instead of using the jib?